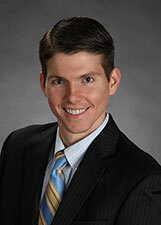 Jeffrey Burke is an associate at Dell, Moser, Lane & Loughney, LLC. Jeff is a 2008 graduate of the University of Pittsburgh School of Law, where he was a recipient of the Class of 2008 Community Service Award. Before attending law school, he received a Bachelor of Science degree from The Pennsylvania State University, University Park, with a major in Finance, and minors in Business Economics and Political Science. Jeff focuses his practice on insurance defense and other general liability civil litigation. Prior of joining Dell, Moser, Lane & Loughney, LLC, Jeff was an associate with a small-size, general practice law firm focusing on criminal defense as well as civil and domestic litigation. Jeff is admitted to practice before all Pennsylvania state courts and the United States District Court for the Western District of Pennsylvania.